In times of deep uncertainty and chaos, how can we rethink, revise, and remake politics? Beyond the Pink Tide cautions our overinvestment in national electoral processes and its crashing ebbs and flows to expand the meaning of politics. I examine a constellation of sites, texts, and movements that reveal how the project of social and economic transformation exists beyond state regime change. In particular, I show how the alternatives posed by the recent electoral wave of Left-leaning Latin American states often called “The Pink Tide” do not exhaust the terrain of current progressive and radical political potential in the Americas. How do artistic and political undercurrents offer another course of action? This book describes how dissenting art and social expressions redefine the realm of the political. Published by University of California Press. The 1973 military coup in Chile deposed the democratically elected Salvador Allende and installed a dictatorship that terrorized the country for almost twenty years. Subsequent efforts to come to terms with the national trauma have resulted in an outpouring of fiction, art, film, and drama. In this ethnography, Macarena Gómez-Barris examines cultural sites and representations in postdictatorship Chile—what she calls "memory symbolics"—to uncover the impact of state-sponsored violence. She surveys the concentration camp turned memorial park, Villa Grimaldi, documentary films, the torture paintings of Guillermo Núñez, and art by Chilean exiles, arguing that two contradictory forces are at work: a desire to forget the experiences and the victims, and a powerful need to remember and memorialize them. By linking culture, nation, and identity, Gómez-Barris shows how those most affected by the legacies of the dictatorship continue to live with the presence of violence in their bodies, in their daily lives, and in the identities they pass down to younger generations. Published by University of California Press. 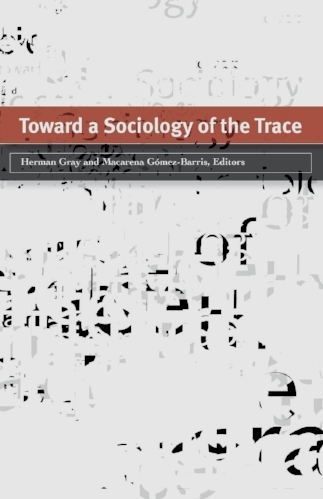 Using culture as an entry point, and informed by the work of contemporary social theorists, the essays in this volume identify and challenge sites where the representational dimension of social life produces national identity through scripts of belonging, or traces. The contributors utilize empirically based studies of social policy, political economy, and social institutions to offer a new way of looking at the creation of meaning, representation, and memory. They scrutinize subjects such as narratives in the U.S. coal industry's change from digging mines to removing mountaintops; war-related redress policies in post-World War II Japan; views of masculinity linked to tequila, Pancho Villa, and the Mexican Revolution; and the politics of subjectivity in 1970s political violence in Thailand. Published by University of Minnesota Press. Contributors: Sarah Banet-Weiser, U of Southern California; Barbara A. Barnes, U of California, Berkeley; Marie Sarita Gaytán; Avery F. Gordon, U of California, Santa Barbara; Tanya McNeill, U of California, Santa Cruz; Sudarat Musikawong, Willamette U; Akiko Naono, U of Kyushu; Rebecca R. Scott, U of Missouri.